The past few decades have witnessed the emergence and development of corpus linguistics “as a powerful methodology-technology” (Lee & Swales, 2006, p. 57) with considerable potential for linguistic research and language pedagogy. In language teaching and learning, the growing applications of corpus linguistics are greatly expanding our pedagogical options and resources (Conrad, 2000; Vyatkina, 2016), as corpora provide rich language samples for teachers to develop authentic instructional materials and classroom activities (Yoon & Hirvela, 2004), and for learners to form and test their hypotheses about patterns of language use (Leech, 1997). However, corpora and corpus tools have not yet “made major inroads into language classrooms” (p. 138, Yoon, 2011), especially in EFL/ESL contexts, and the effectiveness of data-driven learning (DDL) in these contexts has not been firmly established. This presentation reports on an experimental study that set out to investigate the effectiveness of a DDL intervention in an EFL university classroom, in comparison with a traditional teacher-directed approach, in raising learners’ awareness of hedging in English academic writing and improving their use of hedges. The study adopted a pretest-posttest-delayed test randomized control group design. Treatment for the experimental group involved hands-on experience with two carefully chosen, purpose-built online corpora, while that for the control group consisted of traditional lectures featuring dictionary work and passage-based exercises. Statistical analyses of the two groups’ performances on the three tests have yielded empirical evidence of both the affordances and limitations of the DDL activities. In addition, a questionnaire survey conducted after the intervention has received generally positive feedback from the experimental group participants towards the incorporation of corpora in classroom teaching. These findings are interpreted and discussed in terms of DDL learning principles. The presentation concludes with suggestions for future DDL applications and research in EFL teaching contexts. Collocations, prefabricated multi-word combinations, are considered to be a crucial component of language competence which indicates the central role they should play in language teaching and learning. However, collocations remain a challenge to L2 learners at different proficiency levels, and particularly a difficulty to Chinese learners of English. Collocations have so far attracted only limited attention in the Chinese language teaching classroom. This study, therefore, focuses on the effectiveness of the teaching of academic collocations to advanced Chinese learners of English, using a specific pedagogical approach to teaching collocations, the corpus-based data-driven learning approach (DDL). DDL has been argued to offer an effective teaching method in language learning. However, large-scale, quantitative studies evaluating the effectiveness and assessed the benefits of DDL in the acquisition of academic collocations were limited in number when compared to a different method of teaching of collocations. 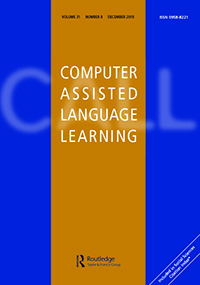 This study, therefore, uses data from 120 Chinese students of English from a Chinese university and employs a quasi-experimental method, using a pre-test-and-post-test (including delayed test) control-group research design to compare the achievement of the use of DDL and online dictionary in teaching academic collocations to advanced Chinese learners of English. The experimental group uses #Lancsbox (Brezina, McEnery & Wattam, 2015), an innovative and user-friendly corpus tool. By comparison, the control group uses the online version of the Oxford Collocations Dictionary. The results are analysed for the differences in collocation gains within and between the two groups. Those quantitative data are supported by findings from semi-structured interviews linking learners’ results with their attitudes towards DDL. 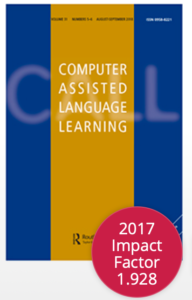 The findings contribute to our understanding of the effectiveness of DDL for teaching academic collocations and suggest that the incorporation of technology into language learning can enhance collocation knowledge.